While we aren’t right on the ocean, Bend is pretty darn close, and we have learned to expect seafood that is sweet, fresh, and delicious. Anthony’s at the Old Mill, however, still manages to surprise us with its exquisite seafood meals. Located at 475 Southwest Powerhouse Drive and open every day of the week, this moderately priced restaurant is famous for the classic seafood dishes you love and for ones that you may have never tried before, but are destined to become your new favorites! The interior is classic seafood restaurant, decorated in warm colors with the kitchen open to the restaurant. Floor to ceiling windows offer breathtaking views of the Deschutes River, Three Sisters Mountain, and Mt. Bachelor, reminding us every time of why we love this town we live in so very much. Outside dining is extended with the addition of a giant firepit, allowing for the same views that are available from the inside without the obstacles of glass. We don’t generally mention the restrooms of the restaurants we are reviewing, but the men’s rooms in Anthony’s of Bend deserve an exception; small televisions located behind glass above the urinals allow the men in your life to keep up with the news while, well, you know! Good seafood comes with high prices, but the specials offered at Anthony’s of Bend, Oregon allows even guests with smaller budgets to dine happily and comfortably. Their Sunset Dinner Special is a four-course dinner option offered at only $23.95 per person, the Happy Hour menu includes salmon sliders, Puget Sound Mussels, and ahi nachos for only $6 from 3-6:30 PM every day, and a Surf & Turf dinner option is available Monday through Thursday for only $24.95. The surf & turf special won’t last forever, so don’t wait to book your trip! We are happiest when sitting at a patio table with a plate of Wild Salmon Tacos and an icy cold craft beer in front of us, and when you try it for yourself, you will understand why! Dungeness Crab Cakes, Pan Fried Oysters, thick and juicy Double R Ranch Ribeye—we’ve tried everything on the menu and we still can’t decide which is our favorite! Vineyards both far and near supply wines that are smooth and rich, and local breweries are the source of the craft beers found on tap at Anthony’s, making it a favored place for special events! Reserve Your Bend Vacation Rentals Home Today! 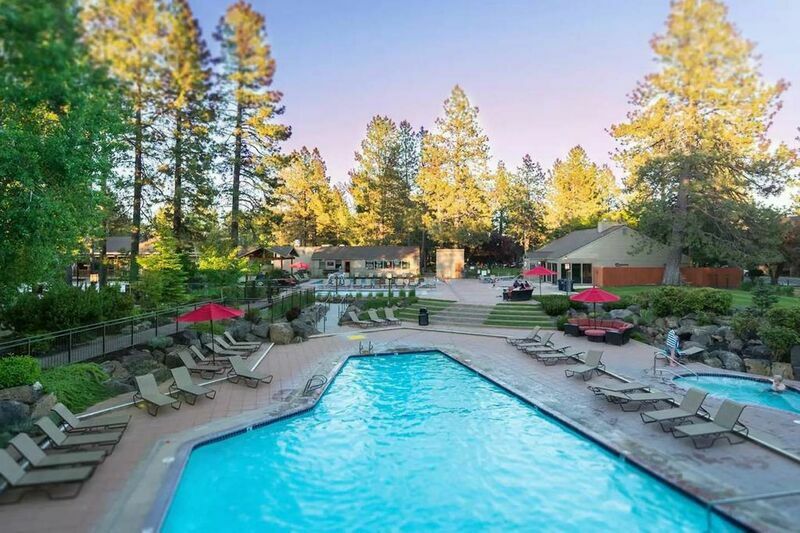 You can’t enjoy a dinner at Anthony’s Restaurant in Bend, Oregon if you haven’t started planning your Bend vacation yet! Give us a call today to reserve your stay in one of our vacation rentals.